Hey hey everyone! It's Fri-yay again and I am currently in Napa with my girlfriends doing what some might call, "Living the dream." ;) Wine not, right? Coldplay. I have loved this band for the past 12 years and while you might wonder why I didn't like it earlier than that, all I can say is Dave Matthews Band. That was why I couldn't make the shift. And by shift, I mean I couldn't manage to change out the 5 (or 6?) Dave Matthews CD's I had on constant repeat in my car. If you knew me back then, you know this is true. Eventually in 2005 I began listening to Coldplay and fell in love with their music. I feel blessed to have seen their concert 5 times over the years and I will tell you it is worth the money. They put on a great show! They'll be playing in Houston this summer, too. It's officially summer as of the 21st of June and I.AM.SO.HAPPY! I am not happy about the heat, at all. But, I am happy we've made it half-way through the year and can look forward to the fall. We're two days away from the six month countdown to Christmas! Speaking of margaritas and Christmas, this Quench Margarita Master and/or this margarita pool float would make great gifts for summertime fun or for Christmas. Just sayin'. Margaritas anyone? #yesplease #dontmindifido And if you DO drink margaritas then you should order Titanium Tequila because it is my absolute fave. You can also get a margarita pool float that's more traditional here and a mojito master if you're in to those types of cocktails instead. Fun stuff. I shared this picture on Saturday of the Paleo cinnamon bread I made for my uncle(s) so figured I'd write up the recipe and share it. I literally decided to bake the Paleo bread last minute before a chiropractic appointment with him that morning and threw in extra ingredients to change it from plain coconut flour bread (delicious) to more of a morning treat topped with cinnamon and coconut sugar. The recipe for the bread is so easy to start with, much less adding in some extra ingredients to make it a sweet treat, that I knew I could whip up the bread and let it bake while I got ready to leave. Print the Paleo cinnamon coconut flour bread recipe here. Print the Paleo coconut flour bread recipe here. Click here to view all previous Paleo (and Whole 30 ingredient approved) breads. This past weekend overall was so good for the soul. We wined and dined with great conversation, celebrated my God daughter's 6th birthday (one of my 5 God-children...or is it 6 with my twin nieces now? ), visited with family, did a little shopping, went to church, did my bible study, chatted with my dad for almost two hours and relaxed. Aunt Bec did put on skates to skate with this sweet pea, but got saved by the bell when they announced it was time to return to the table for the celebration. Just four of the thirteen of us visiting that evening. I love my family so much. Good times, always. The grapefruit martinis were tasty too. It makes a funny topic to mention so yes - we should all make sure to drink plenty of water. It hydrates our bodies, cells, and organs. It flushes toxins from our body. It energizes our bodies. You can peruse a quick ten point list on the benefits of drinking water here. 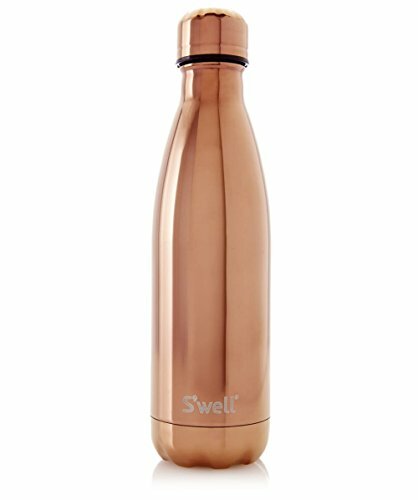 There's an endless supply of bottles, cups, and mugs that you can use to drink water from aside from purchasing bottled water which would be better for the environment as well as more cost effective. Here's a couple of options below that will keep your water stylishly chilled. Keeping in tune with my wine drinking this weekend, I thought I'd also share a way to keep your wine chilled which will be especially helpful during these summer months. Frozen grapes! I've read this before and tend to forget about it. However, I received a timely email this week suggesting this again and is pairs perfectly with my trip and with today (Friday) being National Hydration Day. ;) Think about frozen fruit beyond the realm of wine even though I jest about that being my method of hydration. Frozen fruit in water would make a tasty, chilled beverage! You can also freeze fruit in ice trays to add to your water. But, if you are sticking with wine - you can keep the entire bottle chilled with a neat VinGlacé product I mentioned in a previous Friday Favorites post. 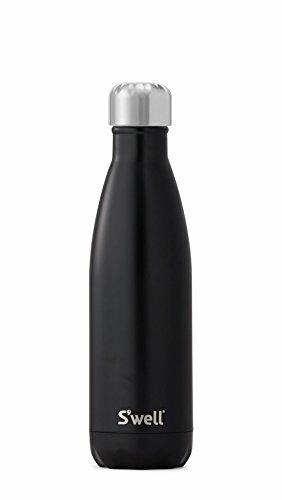 It's basically a Yeti for your wine or champagne bottles. Cheers to that! A final reminder that you have until midnight tonight to enter to win the raffle giveaway! I will reach out to the randomly selected winner over the weekend for a mailing address and ship it out promptly on the 27th. All entries will be verified. Good luck! Wishing everyone a wonderful weekend and I'll see you back here on Monday when I share a new recipe!